Team iGem from NYU Abu Dhabi who won a gold medal at a competition in Boston for their cost-effective solution to detect E. coli. 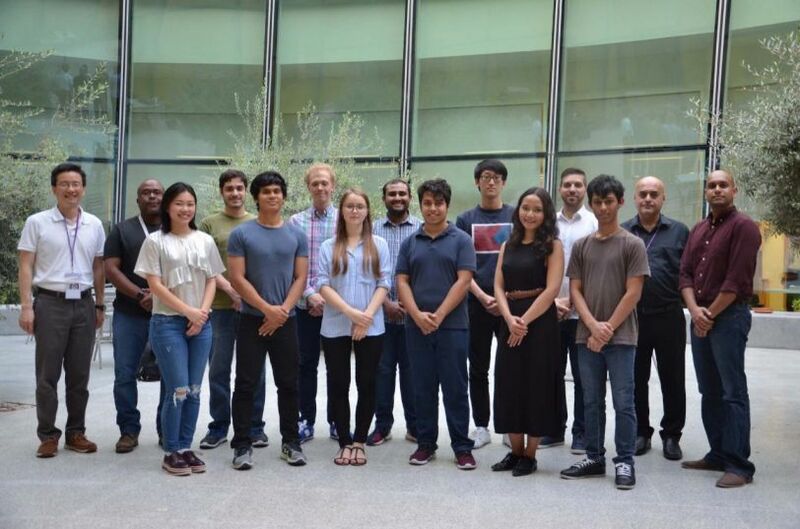 NYU Abu Dhabi’s International Genetically Engineered Machine (iGEM) team has received the university’s first gold medal at the Giant Jamboree held in Boston, US. The Giant Jamboree is a synthetic biology competition that hosts student academic scholars from 310 international teams. The project, E. coLAMP, was concerned with the development of a portable and affordable device that is capable of amplifying a genetic marker of the Shiga-toxin-producing E. coli in just 20 minutes using a technique called loop-mediated isothermal amplification (LAMP). The engineering team designed and printed a robust, 3D-printed case, which houses the electrical components and the silicone chip for the biological reactions. The intended usage of the device provides a simple procedure for the end user. A food sample is swabbed and added to a solution, and the solution is transferred into the silicone chip. 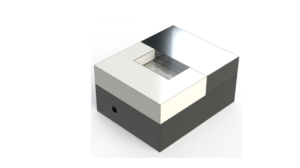 The chip can then be placed on the heating base of the device, and the reaction can be easily visualized after 20 minutes. The team was successful in developing a proof-of-concept, which cut down the cost of each reaction to only $4 USD. The result: a cost-effective solution to rampant food contamination in various parts of the world. 3D rendering of a portable device that can detect E. coli in 20 minutes, developed by a team of students at NYU Abu Dhabi. In the development of E.coLAMP, the team employed a comprehensive design-build-test cycle, integrating feedback from potential users into the design of the device to better meet users’ needs. In the spirit of community service, the NYUAD team also conducted extensive education and engagement programs by inviting 20 Brighton College high school students to NYUAD’s first annual synthetic biology workshop. An outreach program was also conducted in Indonesia to primary school students on food safety and hygienic practices. Being the only team from the United Arab Emirates, the team hopes to encourage and share their experience with other GCC institutions to help them launch their own iGEM teams in the future. By doing so, they aim to promote the value and importance of interdisciplinary studies in the development of a successful project. The team offers their gratitude to the Division of Science and the Division of Engineering, as well as the Center for Genomics and Systems Biology for their generous support that helped this program to become a success. 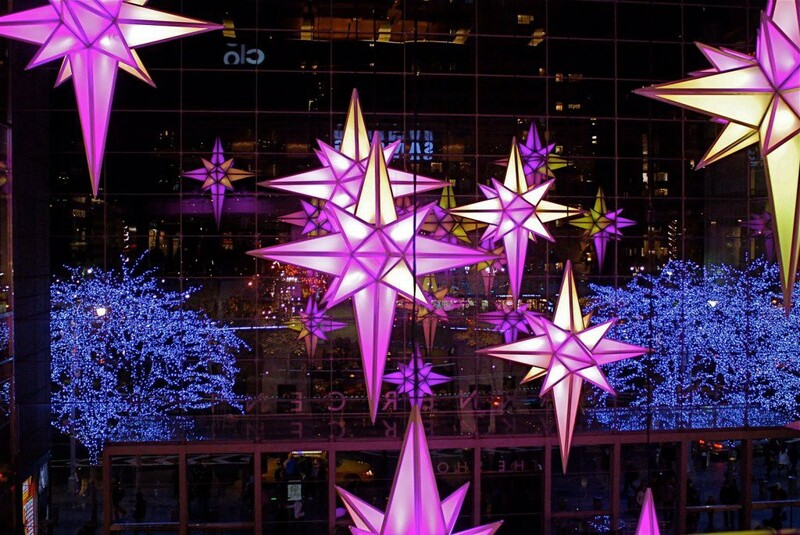 This post comes to us from NYU Abu Dhabi and you can find the original here. There are numerous study abroad programs run by American universities in Prague, and for years there has been informal networking among staff from the different organizations. 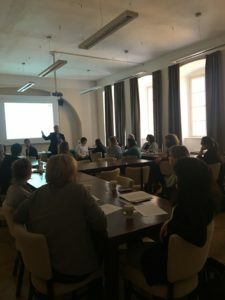 Two years ago, NYU Prague Associate Director Thea Favaloro joined forces with several other study abroad organizations to create a more formal network. They founded the Association of American University Programs in the Czech Republic (AAUPCZ), which currently is made up of 8 member organizations. In 2017, AAUPCZ joined the European Association of Study Abroad Programs. “The association provides a forum where we talk about experiences, discuss issues that affect us all, and share resources,” explained Thea Favaloro. The impetus for creating AAUPCZ was because of issues relating to visas – staff from many study abroad organizions were struggling with changing and unclear regulations about Czech student visas. “We realized that if we were to act collectively, it would give us a stronger voice with local authorities,” said Favaloro. Since then, the organization has explored more ways to become stronger by working together. This fall they launched a series of diversity training sessions for staff from all member organizations. In December, NYU Prague hosted a session on LGBTQ for staff from all organizations. A transgender American student from the CIEE study abroad program shared her experiences as a student in Prague. Thea Favaloro spoke about NYU Prague’s resources for LGBTQ students, and Kim Strozewski from CET gave a presentation about what administrators should be aware of when working LGBTQ students abroad. The next training session in the series will focus on issues of race and privilege. This month, NYU Sydney Lecturer Abidali Mohamedali was featured in Cosmos Magazine. 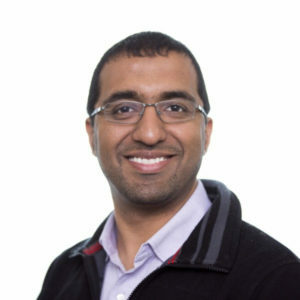 The article focused on Professor Mohamedali’s research and teaching career, describing him as a biologist and entrepreneur who wants to give back. For Professor Mohamedali, turning scientific discovers into business propositions is about driving understanding and benefiting people rather than acquiring wealth. 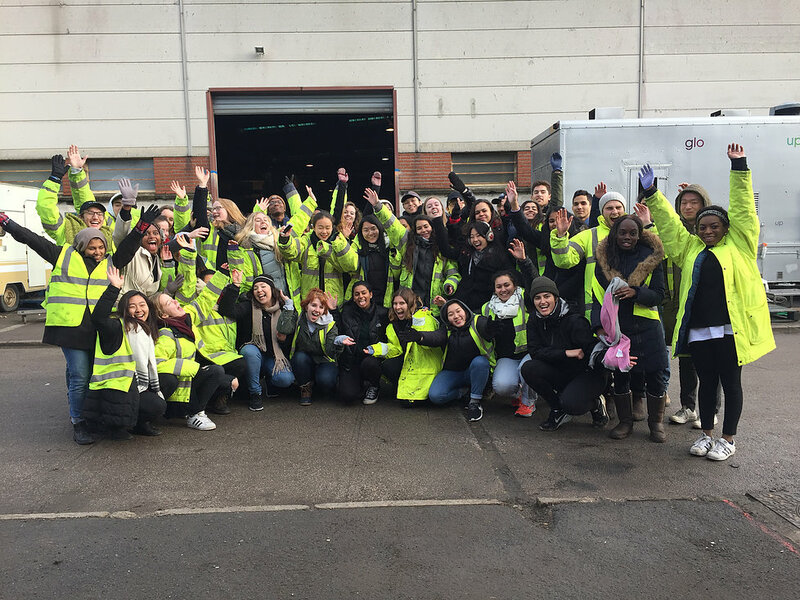 This reflection comes from NYU London student Destiny Gallegos, who shares her experiences during the joint NYU London and NYU Paris volunteer trip to Calais and Dunkirk. What better way is there to start the best month of the year in France doing something that matters for people who need it? That’s exactly how I spent the first and second of December during the Calais Volunteer Trip to assist Help Refugees in their efforts to provide the refugees in Calais with provisions they so desperately need. There was plenty of sorting and cooking and loving happening at the warehouse those two days. Admittedly, before going on this trip I did not know as much about the whole situation in France with the refugee crisis as I do now after the trip. It wasn’t until our debriefing upon arrival at the warehouse that I learned how awful the refugees have it in Calais. From sleepless nights and severe police brutality to their tents being slashed and them and everything they own being sprayed in teargas to suffering through endless days and nights in the miserable, wet weather — the refugees need any bit of help they can get. All of this appalls me. I couldn’t have been happier to be there helping this organization give these people some hope and kindness each day. For both days I was on kitchen duty. I volunteered with amazing English and French people who were running the Refugee Community Kitchen (RCK) and even had the opportunity to mingle with and work alongside students from NYU Paris. The people behind RCK were so unbelievably devoted and made the hard work we did enjoyable. There was music. There was dancing. There were jokes and giggles. All of the people in charge went out of their way to make us feel comfortable and happy while we were working for them. They also fed us some really yummy (and VEGAN!) lunches that warmed us up after spending hours in 1°C weather. Good food, good company, and good work for a good cause? I wouldn’t even have to think twice about signing up for this trip again if there was a second, third, or fourth opportunity to do it. Some of my tasks included washing and drying a seemingly endless mountain of dishes, opening gigantic cans of this and that, cutting, chopping and peeling various vegetables, and trying my hardest to stop the tears from escaping my eyes as I dealt with onions. When I wanted a different task, all I need do was ask the people in charge and they automatically had something else for me to do. It was definitely a hustle-and-bustle environment in the kitchen at all times because RCK provides lunch and dinner to the refugees in The Jungle (the area in the forests where the refugees congregate) every day. Everyone was aware at all times of the urgency and importance it was to have the food done and ready for distribution on time because we knew how hungry and cold the refugees must have been if we ourselves were shivering with our coats and hats and scarves surrounded by stoves of boiling foods. There were a few times when I became rather upset and bothered with myself and others because we commented (even complained) about how cold we were when we didn’t even have it nearly as bad as the refugees do day and night on end. For the night we stayed in a French hotel in Dunkirk. It had heat, warm water, and comfortable beds. That in itself was more than the refugees have and I went to bed that night counting my blessings for things that I before considered to be givens in my life that would actually be luxuries to others. It’s saddening to know that I live in a world where some people can have so much while others have nothing, not even the treatment of human decency. To say this trip was humbling is an understatement. Not only did it make me really see how privileged I actually am, but it challenged me to want to use that privilege to benefit people who do not and never will have it as easy as I do in life. It was beautiful to see so many people wholeheartedly committed day in and day out to show the refugees that they matter and that they have not been forgotten. I’ve done some charity work in the past, and while all my experiences have affected me in one way or another, I have never felt as touched as I do after having worked with Help Refugees and Refugee Community Kitchen. The greatest takeaway I have from this trip is how easy and meaningful it is to make a difference when you’re in a position to do so. My only complaint is that I, and everyone else from NYU, felt that we could have done more volunteering. Hopefully the next time this trip rolls around, NYU will make it a full weekend commitment. It was more than worth the £50, wearing Crocs all day in the kitchen, and the newly acquired permanent stench of onions on my hands that won’t go away despite numerous washes and showers. If you want to take a part in something that matters and have fun whilst promoting humanitarian greatness, the Calais trip is for you. The hotel being in Dunkirk was also nice because it was a 10-15 minute walk away from the beach of Mal-les-Bains. I woke up really early the second day of the trip and went to the beach after breakfast to watch the sun rise before we headed back to Calais for more volunteering. It’s not every day that you get to have experiences that touch the core of your humanity and leave an imprint on all of your values, so if the chance to work with Help Refugees ever crosses your path, you MUST do it. But if you aren’t physically able to help the cause, then please donate. Any amount of money you give can help make the difference that these people need. It’s been said time and time again but only because it’s so true– I’ve witnessed it firsthand. Be one of the reasons a refugee finds the strength to not give up hope. The original post can be found on the NYU London volunteers blog here. 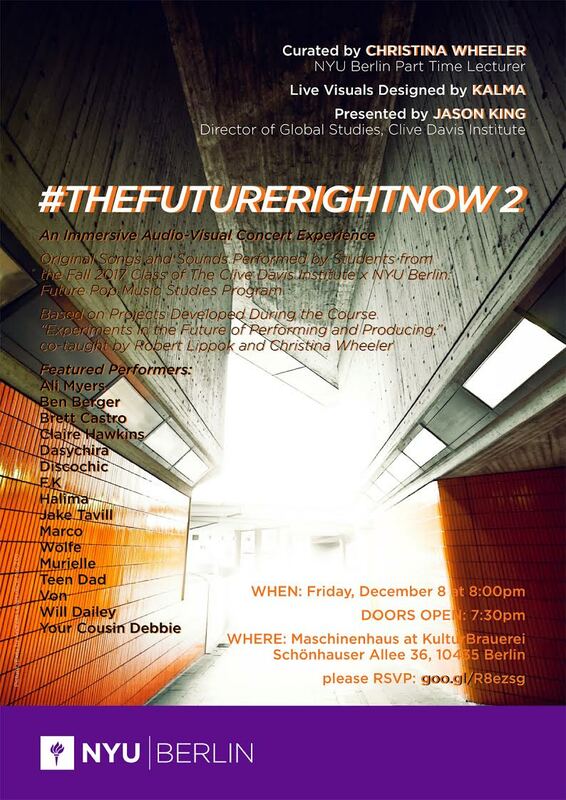 ​ On Friday 8 December, NYU Berlin will host #THEFUTURERIGHTNOW2 – An Immersive Audio-Visual Concert Experience. The event will feature Original Songs and Sounds Performed by Students from the Fall 2017 Class of The Clive Davis Institute x NYU Berlin: Future Pop Music Studies Program. 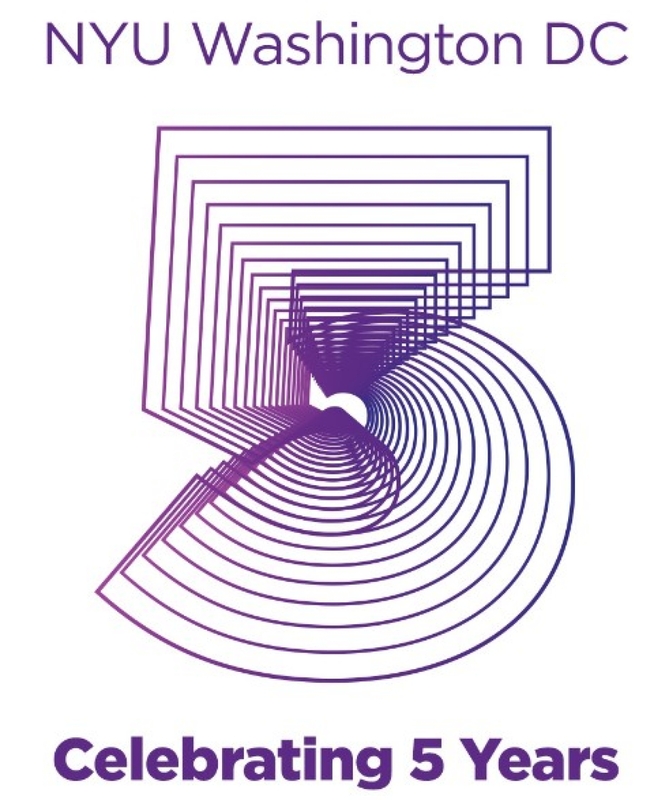 NYU Washington, DC Celebrates Five Years! On 7 December, NYU Washington, DC will be celebrating its five year anniversary. 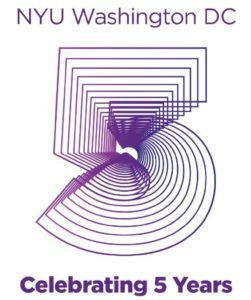 NYU alumni, parents, students, and families are invited to join in toasting to the five-year anniversary of the Washington, DC campus! Enjoy holiday music, a champagne toast, and desserts provided by local alumni entrepreneurs Meredith Tomason(CAS ’02) of RareSweets, Colin Hartman (CAS ’07) of Harper Macaw Chocolate Makers, and Connie Milstein (WSC ’69) of Dog Tag Bakery! NYU Washington, DC director, Michael Ulrich, will also provide reflections on the campus’ signature achievements and exciting vision for the years ahead. Journalists, scholars, activists, politicians, librarians, students all came together from November 2-4 to debate how to combat fake news at the conference Media in the Post-Truth World: The New Marketplace of (Dis)information. Speakers from sixteen countries – many from post-Communist countries seeing the rise of right-wing extremism in government– brought their different takes on how fake news is playing out in their countries. 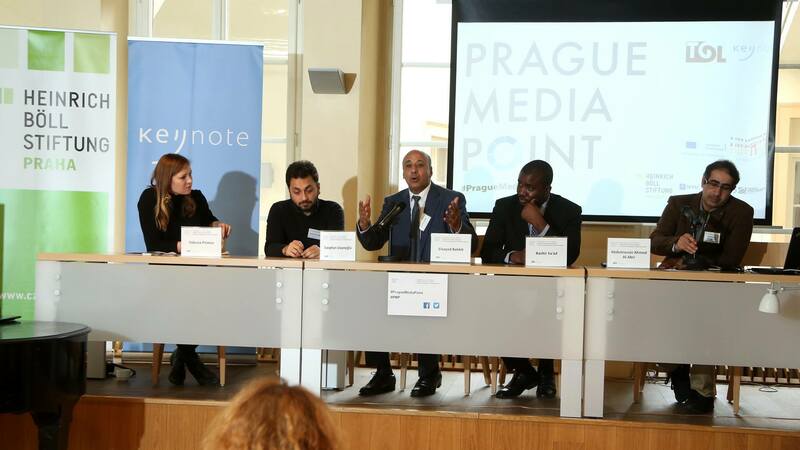 The conference was organized as part of the Prague Media Point, an annual event dedicated to discussing the changing media. Russia expert Mark Galeotti and leading sinologist Martin Hála discussed the spread of state propaganda. Martin Hála argued that while Russians may attempt to delegitimize the Western narrative, they lack a competitive strategy or ideology. 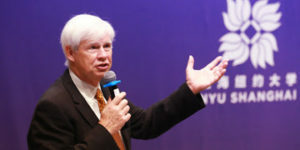 Chinese propaganda, on the other hand, is both better-funded and more strategic, offering a well-thought-out Chinese alternative to the ‘decaying’ Western model. What are some ways journalists can try to regain credibility in the current climate and untangle the web of misinformation? The conference focused on practical solutions, not only scholarly discussion, featuring presentations of successful projects that focus on enhancing media literacy and validating facts. IREX introduced a project that has sought to increase media literacy in Ukraine. “It does not matter what information we receive, but how we receive it,” said project director Mehri Karyadgyyeva. Matus Kostolny from Dennik N, a successful independent, readership-funded Slovak online newspaper,declared: “Should journalists become activists? Yes, if we are defending democracy!” “The conference took us out of our academic bubbles,” said NYU Prague Assistant Director for Academic Affairs Vanda Thorne. The conference was organized by Transitions and Keynote, with the support of NYU Prague, the Heinrich-Böll-Stiftung Prague, the Representation of the European Commission in the Czech Republic, Embassy of the Federal Republic of Germany in Prague, Open Society Fund Prague and the Institute of Communication Studies and Journalism at Charles University. 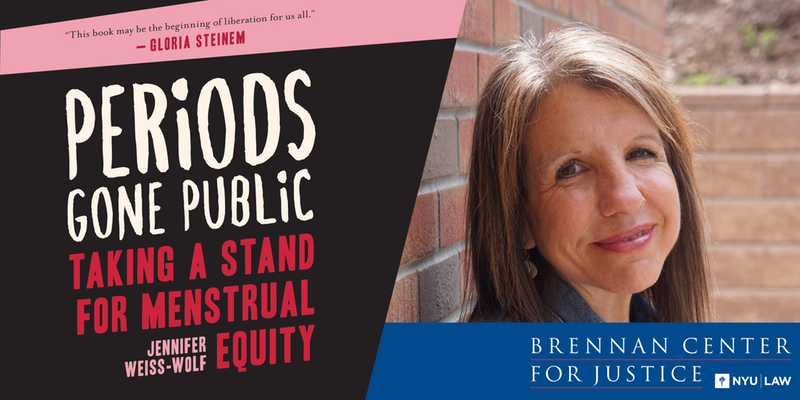 On 29 November, NYU Washington, DC hosted the Brennan Center’s Jennifer Weiss-Wolf, author of Periods Gone Public, and Malaka Gharib, Deputy Editor and Digital Strategist of NPR’s Goats and Soda, to learn more about how this campaign emerged, why the issue resonates across party lines, and what is next for “menstrual equity.” Gretchen Borchelt of the National Women’s Law Center and Congresswoman Grace Meng, (NY-6), sponsor of the Menstrual Equity for All Act of 2017 (H.R. 972), introduced the conversation. Discussion was lively and illuminating. 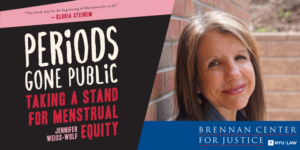 This program is produced by The Brennan Center for Justice in partnership with the National Women’s Law Center, the NYU John Brademas Center, and NYU Washington, DC.